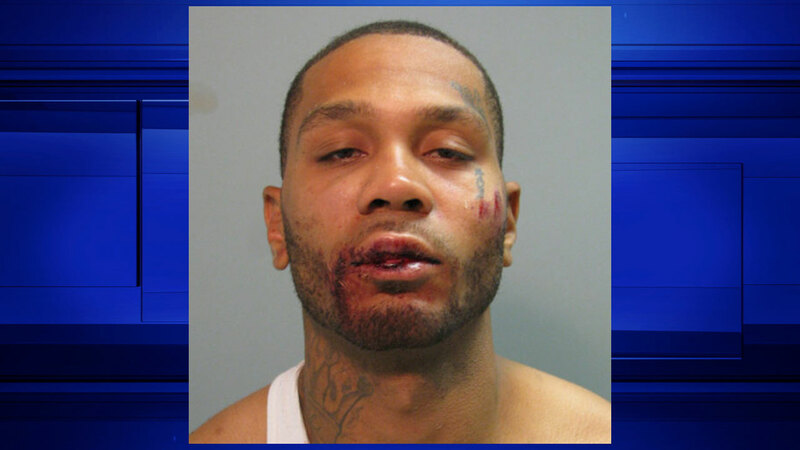 HOUSTON (KTRK) -- An evading suspect had a rough run-in with a K-9 cop in north Harris County last week. This is the mug shot of Patrick Bouvier Davenport, 30. According to Precinct 4, deputy constables were called to a business in the 23500 block of the North Freeway about an alarm going off. When deputy constables arrived, they say they found a vehicle with its engine running parked near a chain fence in the parking lot. Deputies discovered the fence had been cut. A K-9 unit noticed a man running from the scene. Deputy constables called for that man to stop, but he didn't comply. That's when the police dog was turned loose. "The suspect struck our K-9 several times with his fists in an attempt to free himself from the K-9 but was unsuccessful," said Constable Mark Herman. Davenport was arrested and charged with evading arrest with previous conviction and interference with a police service dog. He was booked into the Harris County Jail. Bonds total $20,000.